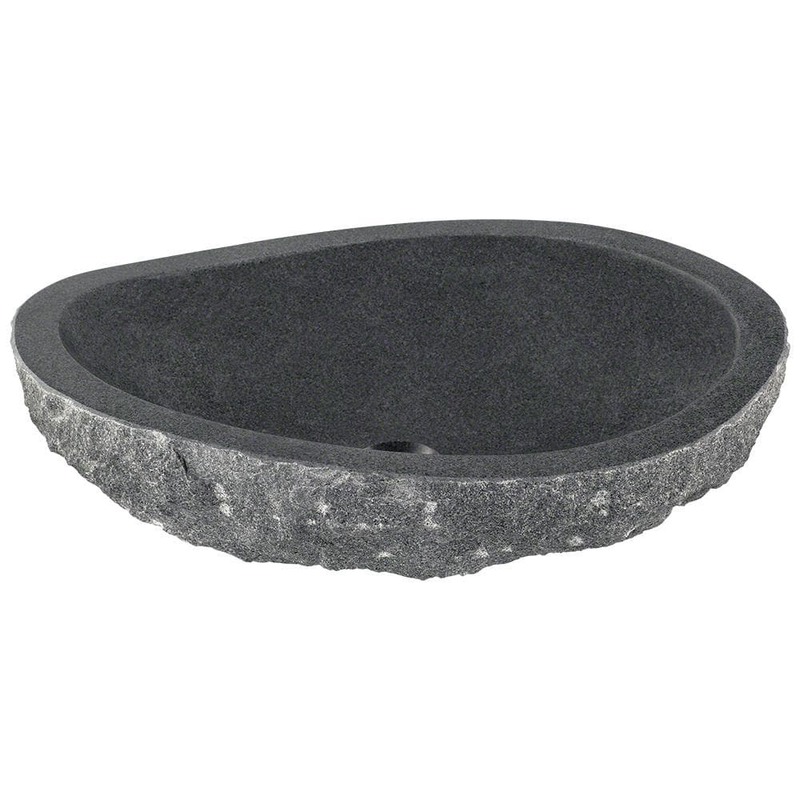 The 866 impala black granite vessel sink is chiseled from a large block of natural granite. This intriguing basin takes on an asymmetrical oval shape. Its thick rough-hewn sides rise and roll to different levels around its highly-polished, reflective black interior. The entire matte exterior is naturally textured with random small stones protruding from the coarse gray base. At its lowest point the oval interior bowl reaches a depth of 4 3/4" and measures 18" x 12 5/8" with a centerset drain. A matching stone waterfall faucet is available to correspond with this sink. Overall the sink rises to a 6" height and measures 20 3/4" x 15 1/4". The sides are 1 1/4" thick. As always, our stone sinks are covered under our limited lifetime warranty for as long as you own the sink.